Don’t miss the 3rd annual community celebration of the Festival of Lights. Explore the MFA and enjoy holiday themed performances with contemporary klezmer by Ezekiel’s Wheels, chamber music by the Niggun Ensemble, and a camp style sing-a-long with cantor and clarinet player Becky Wexler. 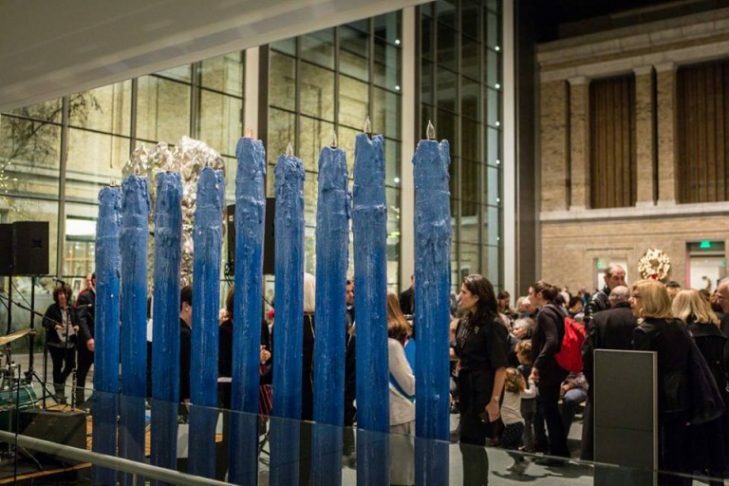 Craft projects and stories for the whole family, gallery talks, a newly-commissioned virtual reality demonstration, and special dance performances all make this the most cultured and innovative Hanukkah party in town. The MFA is free this evening; Museum membership skips the line.